While comments keep blowing through the challenge, spreading its seeds of friendship, I’ve been picking some exquisite flowers in Mrs. Bader’s Garden. We can learn from others; from anyone; from another kid of our age: their creativity is contagious and enjoyable. Someone totally unknown to you enters in your own life; from now on, a new relationship may be born and develop; an invisible string has been knotted, in the world, that strengthens the union of all. The possibility of choice is attractive in itself; it reminds us that relationships can only grow in a context of freedom and good will. Participating in the Challenge can never be reduced to an academic task: its purpose goes beyond technical expertise, but aims to touch the realm where questions about meaning may spontaneously arise. To be intensely aware of the invisible presence of others: that they might come and approach and touch your life; that’s how welcoming our own writing may become, a real home for a stranger. To look in the face the white space to be filled with a comment, as a writer staring at the blank page, as a lover wondering how to disclose his secret, as the first human person addressing another human fellow for the first time: there is something here that relates to an original experience of being authentic. Young commenters are fighting for a valuable communication: they wish to grasp the words that will really carry a personal insight, or a challenging perspective that asks for a response. This quest has not just one side: it longs for an answer, it is designed to be matched by a response, and its matrix is the human dialogue. The other, however, in its freedom, is not at our disposal, but the risk involved in the adventure of communication is soaked by hope. The power of writing is at stake here: the effort to put into words what we have just read or heard brings our effective comprehension to a new level. Deep learning happens through this struggle to conquer the sense one has just grasped in a glimpse and so do strong ties, linking people together, in the clarity of carefully chosen words. Our Challenge follows its epic course connecting hundreds of young people through the world:1550+ from 27 Countries! 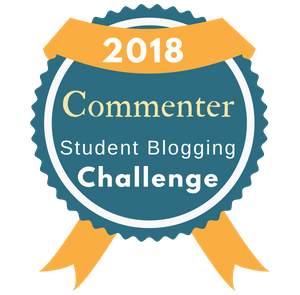 Week Two was all about commenting: the complex blog post that accompanied this task went through all the intricate meanders that distinguish a trivial contact from a significant interpellation, independently of the young authors age. Besides, the well-articulated post included differentiated strategies which lay the foundations that may enable eventual insightful conversations. With time and perseverance, any Student may come to excel in the art of dialogue. This so often forgotten art acts as a powerful tool to build peace at all levels. Very different thinkers would agree with the vital importance thus attributed to what may superficially seem to be like “just talk”. Take the case, for instance, of the young Philosophy teacher François-Xavier Bellamy, who choose to teach in a difficult public school on the suburbs of Paris. There, he met the suffering of his own Students, mostly coming from unfavoured quarters; as they struggled to express themselves clearly, they would easily get angry and anxious. Inspired by his kids, who felt “thirsty for reason” he founded “Les Soirées de la Philo” in a central Paris Theatre, where they would gather weekly, to discuss any relevant subject they would chose and to learn how to engage in real dialogue. After the success of this initiative, the sessions were extended online, under registration. As Hanna Arendt stressed so clearly: “We humanize what is going on in the world while talking to each other about it; and through this dialogue, we learn to be human”. So here we are back on track again for a new edition of the famous Challenge that brings joyfully together hundreds of Students and thus helps to shape a brighter future for our world. Under the charm and experience of both Sue and Kathleen, we, blogging lover adults, dare to engage in this inspiring initiative as respectful and enthusiastic commenters. The first two weeks seemed to run so fast that I hardly could follow the wide range of enlightening readings provided by the Challenge Blog Posts. So, although I have started to translate them, I soon had to give up and turned instead to focus on actively listening to the young Students entrusted to my care. That was surely a rewarding step: kids struggle to identify themselves with the stylized features offered by the Avatars and, by justifying their choices, they start a reflexion upon their own personality: “I choose to put myself in a classroom because I like to learn” – says Gabe; or even with some humor: “I put my Avatar in Jail because I thought it was funny” – dares Aidan. As a commenter, I feel grateful for the privilege of listening so closely to the voices of our Youth. I would like to thank Edublogs for this renewed chance and formulate a vow: may all the Young Participants fully enjoy their Blogging. 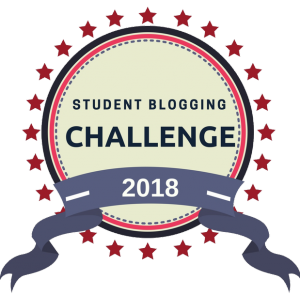 There is something that concerns both gentleness and genuine interest, beyond some amount of sensible curiosity, in the fact of visiting and commenting on Students Blogs. 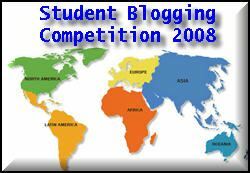 Our 20th Student’s Blogging Challenge has started almost three weeks ago for its brave and generous journey. 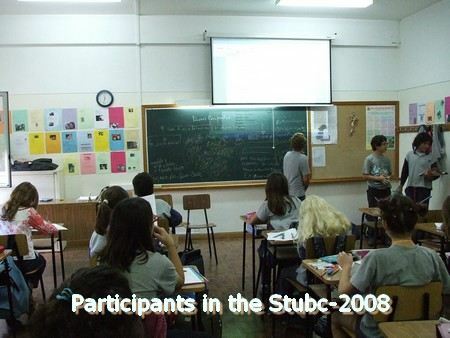 About 500 young participants, following common instructions from Tasmanian “Headquarters“, accepted the invitation to confront some subtle challenges on the art of Blogging: different tasks to accomplish, new skills to acquire and friendly connections to make. All these Students come together by means of this common quest, and converge from all over the world in a “ten weeks meeting” to share their best dreams and conquer new friendships. For us, lucky adults who share the chance to camp for a while on some of these young bloggers lands, it becomes mainly a deep joy to read them and sometimes stare in wonder while listening to them. But they also count on our warm comments, our sincere praise, our humble engagement in conversation meant to learn, to share and to enjoy the grace of the candid communication that builds peace and spreads hope in our world. If you can take a moment, please listen to the beauty of the poem of young Rajyashori, the avid reader who would like to “start some NGO to help the poor people” in her country ; please listen to the ingenious self-introduction at the “About Page” of Mrs Morgan Students, that presents the reader straitgh forward to a living heart, like the poetic text of Holly who ” wants to be the friend of everyone”. 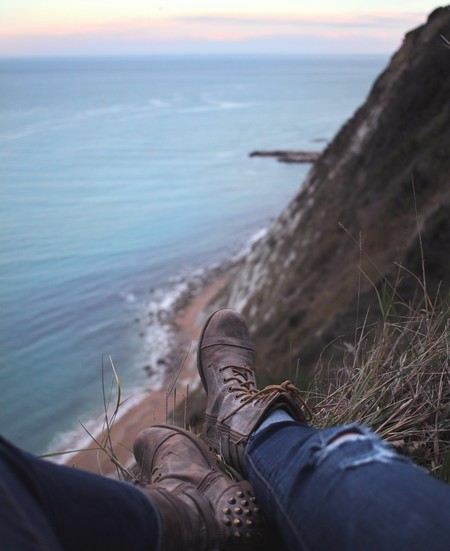 That’s a deep joy about commenting: without noticing, you start listening.